Rev. F. Mark Mealing, Ph.D.
• Moazzam Begg, UK, ex-Guantanamo prisoner, "Taxi To the Dark Side"
Please DOWNLOAD and PRINT our "Statement Against Security Certificates" and collect signatures for us in your workplace, union or local, school, place of worship, community organizations, your family & friends...Thank you. 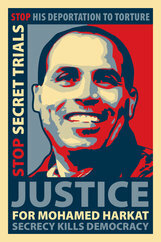 Arrest and detention without criminal charges and without access to the evidence. The spy agency CSIS alleges you traveled to Afghanistan, that you spoke to this person or that person. 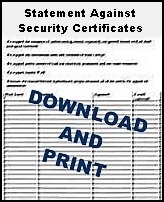 Based only on these untested allegations they can have a security certificate drawn up in your name. If two government ministers sign off on it you are then labeled a terrorist threat and are thrown into a solitary confinement jail cell. This is happening in Canada. SECRET evidence is used against you, evidence never revealed to you or to your lawyer. Who is making accusations against you, you ask? What are their names? What were they promised? Were they tortured? Answers to these vital questions are denied to you with the government's mantra "national security". Dehumanizing 24 hour GPS tracking of the detainee as part of the toughest bail conditions in Canadian history and around the world. 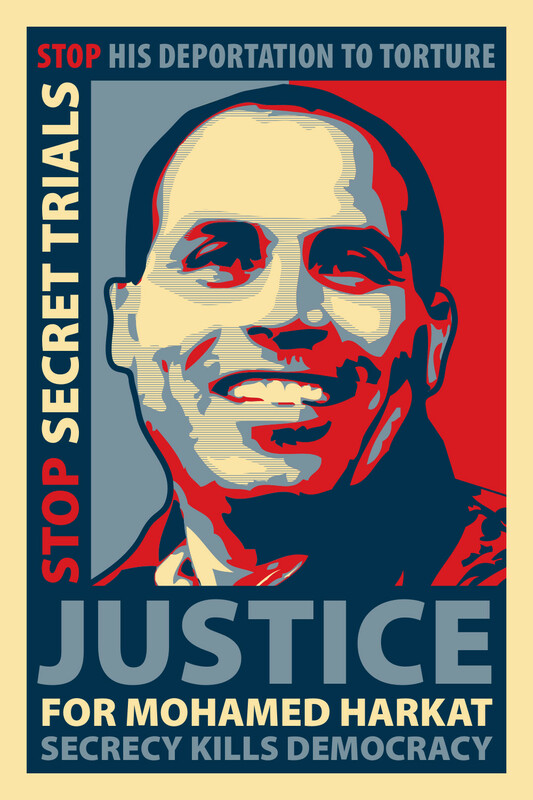 Pictured is long-time security certificate detainee Mohamed Harkat of Ottawa. 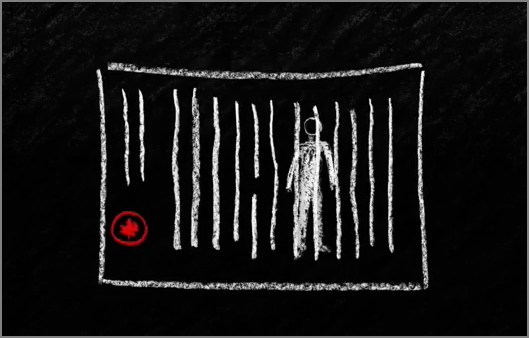 Deportation from Canada to countries that torture, e.g Algeria, Syria, Egypt and Morocco. More indefinite detention, this time in a prison of a hostile foreign state. Many who are deported are never heard of again. They are "disappeared". Others, like former Montrealer Mourad Ikhlef, remain locked up indefinitely, abandoned and forgotten by the Canadian state that unjustly labelled them a terrorist in the first place.